The Yo San University Blount Community Clinic is a teaching facility for University doctoral candidates and master’s degree interns in the final phase of their studies. 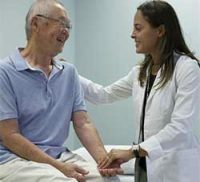 Experienced clinical faculty with a wide-range of expertise in Traditional Chinese Medicine supervise interns to provide individualized patient care. The Clinic is also home to the private practices of several licensed practitioners. Clinic patients have the option to see a licensed practitioner and/or supervised intern for their treatments. Each year, the Yo San University Blount Community Clinic provides more than 20,000 treatments. We are a training clinic for future licensed practitioners and licensed doctoral candidate specialists, so we offer special pricing that make acupuncture treatments affordable and accessible to our community. 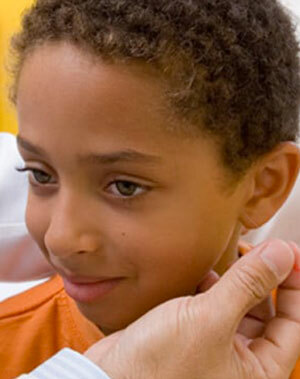 The Community Clinic offers four specialty clinics to better serve the community. Patients receive treatments from experienced, licensed practitioners and supervised interns who work closely with Western and Chinese Medicine experts, creating a truly integrative and patient-focused model of care. Patients receive care in the nation’s first ever doctoral program from acupuncturists working collaboratively with reproductive endocrinologists and fertility physicians. Learn more about our Women’s Health and Reproductive Medicine Clinic. Patients receive acupuncture, Traditional Chinese Medicine and nutritional consultative treatments for conditions that encompass the full life span. Learn more about our Healthy Aging and Internal Medicine Clinic. Patients receive care to address musculoskeletal disorders and headaches with treatment plans emphasizing exercise and stretching to support healing and health maintenance. Learn more about our Orthopedics and Pain Clinic. TCM Pediatric has been applied to foster healthier and happier children, along with less stressed parents in Asia for many generations. Learn more about our Pediatric Clinic. The Yo San Community Clinic serves as the practice site for several private practitioners. Enjoy the experience and expertise in the specialties that each of our private practitioners has to offer. B Med (China), MSOM, L.Ac. 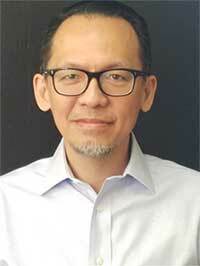 MD (Singapore), MSOM, Dipl Ac, L.Ac. Most people barely feel needles when inserted. Some patients may feel a slight pinch. Acupuncture needles are very thin (about the width of two hairs) and flexible. There are certain sensations associated with the therapeutic effects of acupuncture. These may include slight cramping, heaviness, distention, tingling or electric sensation traveling along a meridian. If any discomfort is experienced, it is usually mild and temporary. Acupuncture is widely acknowledged as one of the safest forms of medicine. Acupuncture needles are pre-sterilized, individually packaged, and disposable. Acupuncturists undergo extensive training and are regulated by state medical boards. It depends on your medical condition. Many conditions respond more quickly to frequent acupuncture treatments, while other patients may need less frequent treatment. When you come in for your first treatment, we’ll formulate a personalized treatment plan for you. Acupuncture works by balancing the body’s Qi, which can be described as a form of bioenergy that runs through the body. If Qi gets blocked, it shows up as an imbalance or illness. Basically, if you have a health condition, some part of your body’s system is out of whack. Chinese medical theory allows us to diagnose the imbalance and balance it. In Western medical theory, acupuncture appears to work by stimulating parts of the brain. It also stimulates the body to release natural biomolecules such as neurotransmitters, vasodilators, and hormones. The exact mechanisms which brings this about are unknown, but the effects are measurable. Do I need to do anything to prepare for my first appointment? If you’re new to the Community Clinic, please arrive 15 minutes prior to your appointment time to fill out the necessary new patient forms. Your first visit to the Clinic for an Intern appointment will be for 2 hours. Appointments for Specialty Clinics and Licensed Practitioners will be for 1-hour. The initial consultation includes a thorough medical intake that covers all aspects of your health. Some questions may seem unrelated to your current medical condition, but remember that our treatment philosophy is designed to treat you as a whole person – body, mind and spirit. Interns will use acupuncture during the treatment and may recommend an herbal prescription and/or lifestyle recommendation for diet and exercise. If you have health insurance that pays for acupuncture, we can provide a “superbill” that provides all the information you need to submit to your insurance company for reimbursement. It is a standardized form which health insurance plans accept. If you have an HSA or flexible spending account (FSA), this will pay for acupuncture. At this time, we do not directly accept insurance. All payment for services (treatment and/or prescription herbs) will be collected at the time of your appointment. Payment can be made with cash, checks, credit cards (Visa and MasterCard) or Flexible Spending Account (FSA) cards with a Visa or MasterCard logo. At this time, we do not accept American Express or Discover cards. Can I return my herbs for a full refund? Only patent herbs can be returned if unopened for a full refund. Any custom herbs, special formulas created specifically for you, are not refundable. Please check with you practitioner about the uses of herbs during your treatment if you have any questions. If you need to cancel or reschedule your appointment for any reason, please call the Community Clinic at least 24 hours before your appointment. A clinic receptionist is available to assist you with this at (310) 577-3006. Appointment cancellations made less than 24 hours before your appointment are subject to cancellation charges of $25.00 for Master’s Intern and the Healthy Aging Specialty Clinic and $35.00 for the Orthopedic & Pain and Women’s Health & Reproductive Medicine Specialty Clinics. The cancellation free for a licensed practitioner appointment is $50.00. What does it mean when I receive a treatment by a Master’s Intern or Doctoral Resident? 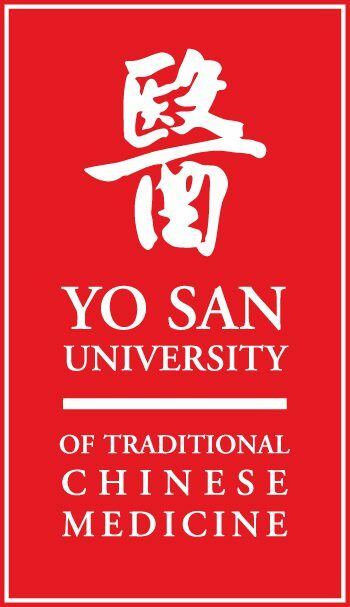 Yo San Community Clinic is a training facility for our Master of Acupuncture and Traditional Chinese Medicine (MATCM) Interns and Doctorate of Acupuncture and Oriental Medicine (DAOM) Residents. 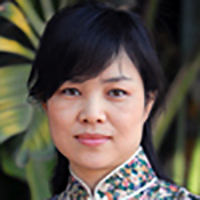 All aspects of your treatment by an Intern or Resident are closely supervised by a Yo San Clinical faculty member who is an experienced licensed acupuncturist. With this supervision and guidance, Interns and Residents take an active role in your visit from gathering information to appropriately diagnose with supervisors, communicating with you, and then personally treating you using the instructed acupuncture and TCM modalities. If you’re new to the Community Clinic, please arrive 15 minutes prior to your appointment time to fill out the necessary new patient forms below. Your first appointment with a Master’s Intern will be for 2 hours. Appointments for any of the Specialty Clinics and private practitioners will be for 1 hour. The initial consultation includes a thorough medical intake that covers all aspects of your health. Some questions may seem unrelated to your current medical condition, but remember that our treatment philosophy is designed to treat you as a whole person – body, mind and spirit. Interns will use acupuncture during the treatment and may recommend an herbal prescription and/or lifestyle recommendation for diet and exercise. If you are a new patient to the Yo San University Community Clinic, please arrive 15 minutes prior to your appointment time to fill out the New Patient Forms. *For the treatment of minors, the parent or guardian must be present in the treatment room with the minor and practitioner at all times during the appointment.